Actually, we can’t afford it either. But we can daydream. 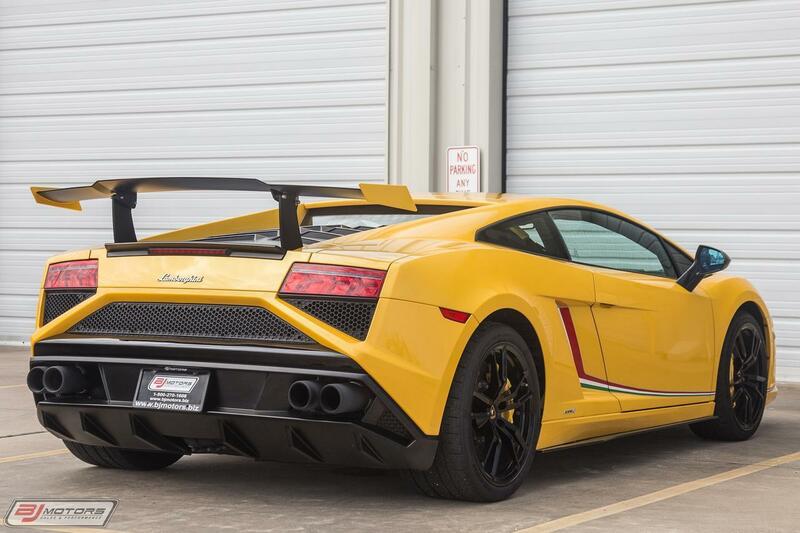 With more than 14,000 units built and sold, the Lamborghini Gallardo is the marque's best-selling model of all time. 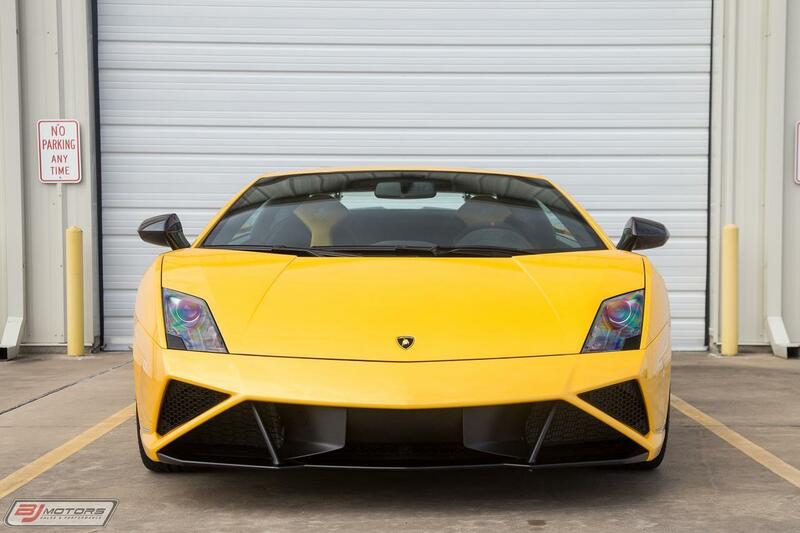 Its successor might be on track to surpass that in a few years, but Lambo's first V-10 supercar deserves its recognition in the House of the Raging Bull. Thanks to its abundance, however, Gallardos are harder to get excited about, as finding one that stands out is tricky. 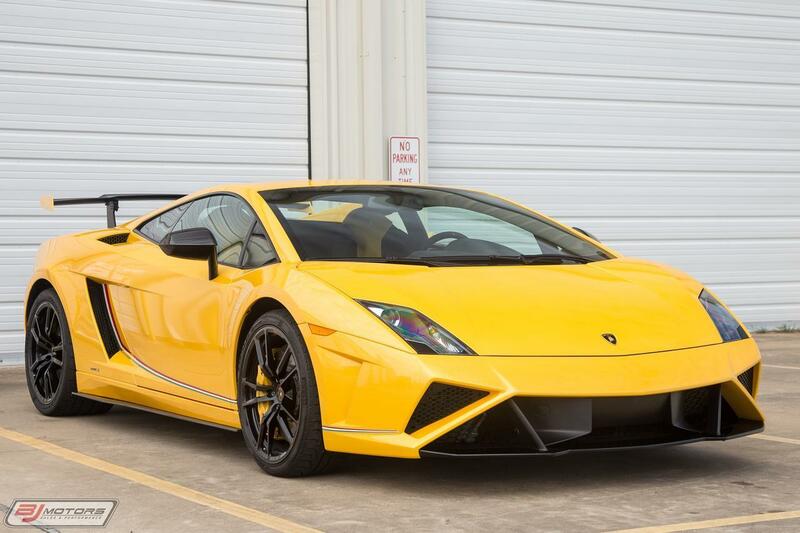 Thankfully we got that covered for you, as a rare Gallardo LP570-4 Squadra Corse, one of 50, was recently listed for sale on Bring a Trailer. 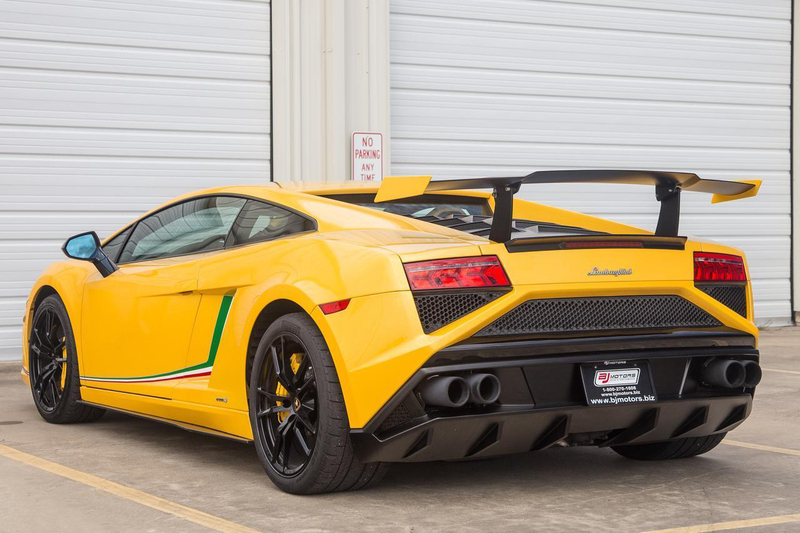 The Squadra Corse was the last road-legal variant of the Gallardo and the result of morphing the best elements from the weight-saving Superleggera and race-turned-road-car Super Trofeo. This example is number 15 of 15 units made specifically for the United States, so its even more special than its brothers. 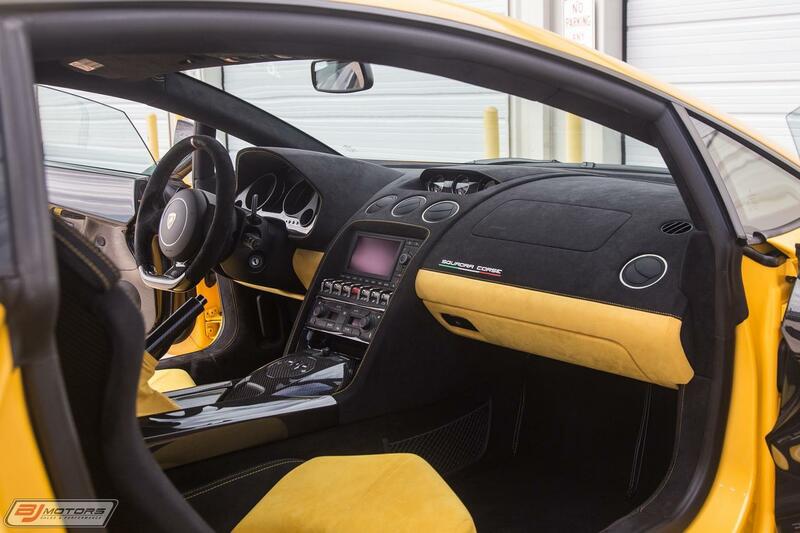 The car is finished in Giallo Midas with a matching yellow and black interior. Cup holders and more storage have also been added thanks to the included Travel Package. 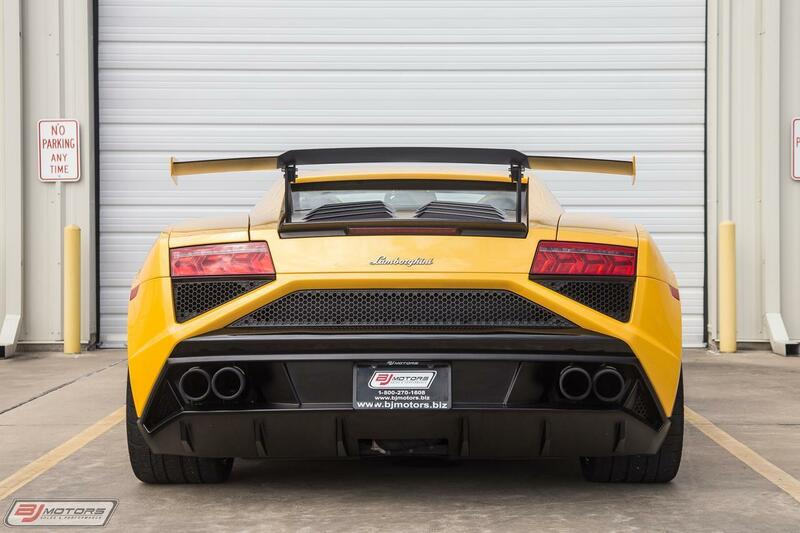 That massive carbon fiber rear wing towering over the car is standard, producing three times the downforce as the regular Gallardo's retractable spoiler. To supplement the arsenal of aerodynamic goodies fitted with the Squadra Corse kit, the car sports a 562-horsepower, 5.2-liter V-10 pushing power to all four wheels via a six-speed E-Gear semi-automatic transmission. In addition, this car is fitted with an aftermarket Fabspeed Motorsport exhaust system, which sounds fantastic. 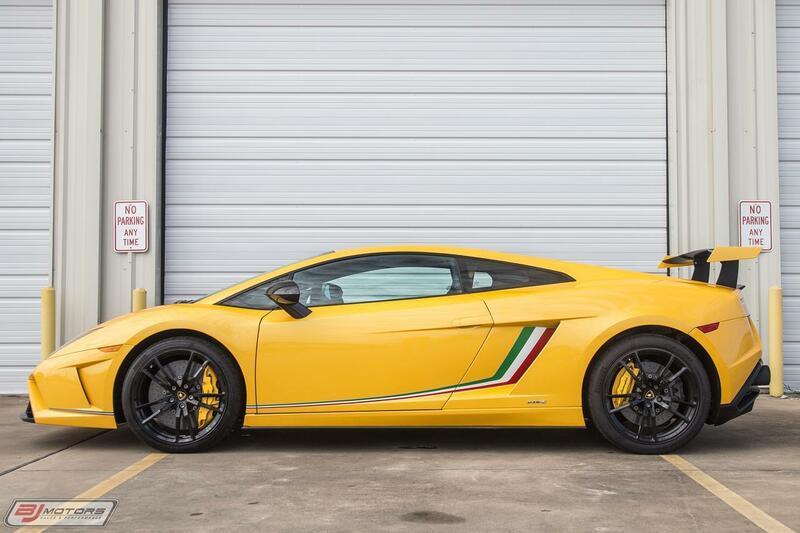 It may not be the last Gallardo to ever roll off the Sant'Agata Bolognese assembly line (that honor goes to a Spyder Performante in Rosso Mars), but it's still extra special, and probably a dream on the track. 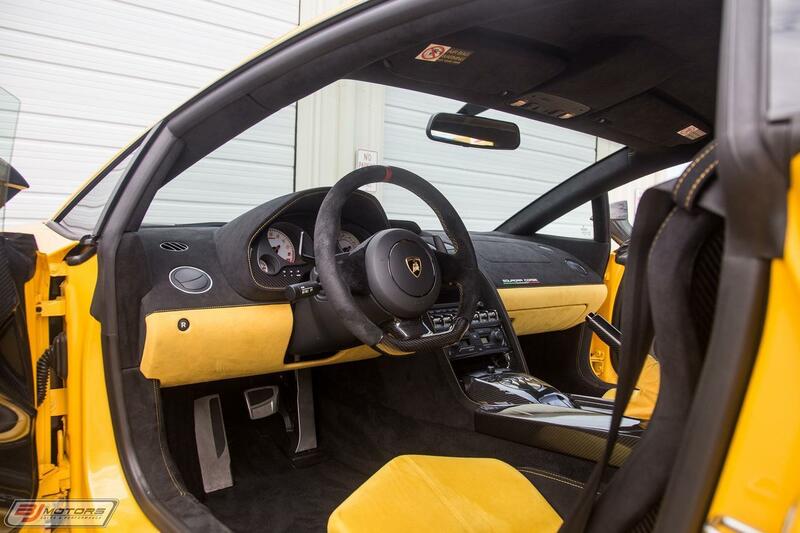 One car will be built for each year of Lamborghini's customer racing history. It's one of just 30 in existence, and one of 10 in the United States. The front end is a total loss, but the interior and rear end could be worth saving. With its engine borrowed from the Huracán Performante, this new version of the "Baby Lambo" is anything but immature. 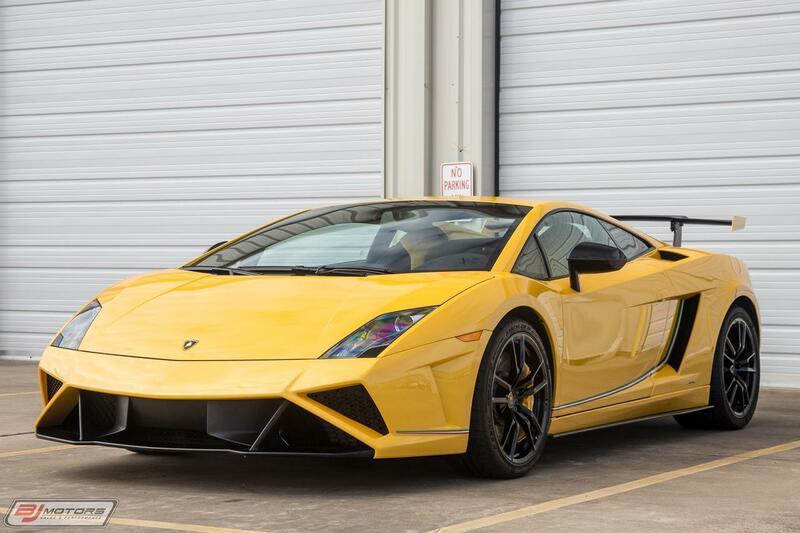 This was the first twin-turbocharged Gallardo the veteran drag racing enthusiasts at Underground Racing ever built.